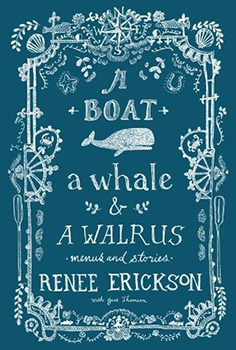 "A Boat, a Whale & a Walrus: Menus and Stories"
One of the country's most acclaimed chefs, 2016 James Beard Award Winner Renee Erickson is a chef and the owner of several Seattle restaurants: The Whale Wins, Boat Street Café, The Walrus and the Carpenter, and Bateau. Come explore this fantastic book with us while we guide you through preparing a handful of recipes, discuss the book, sample food, and explore some wine pairing options. Everyone will be joining together to make a holiday menu, decadent for even the biggest indulgent.